"Sackpants" is a pattern for a super saggy harem pant. The eBook contains two different cuts, so that you can sew it out of stiff, non stretchable fabrics as well. It covers the sizes 34 - 48 / 6 - 20. 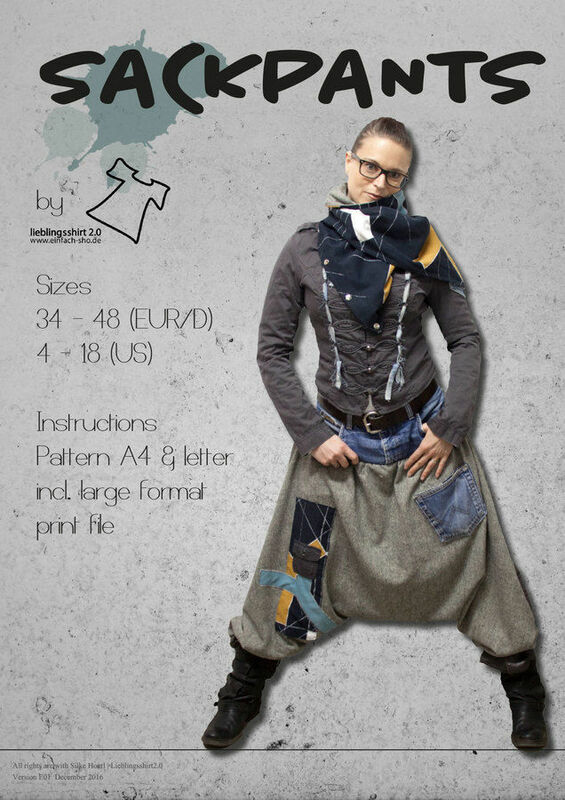 You can sew it for men as well as the included measurement table can be used to transform the sizes to men sizes. An illustrated step-by-step instruction guides you trough the sewing process and makes it easy to sew, even for beginners.